You may have heard the term “Perfect Storm.” Loosely defined, it describes many things coming together resulting in something big or profound. The phrase was first used to describe weather that comes together to create a huge storm – the classic Nor’easter. Sometimes the term goes beyond weather to more intangible subjects. Recently our “Perfect Storm” in the Seattle Catholic community – and certainly other faith traditions – has been immigration. It started building over a year ago with an initial Immigration Summit at Seattle University. A year later, the storm continues to build with a 2nd Summit, a well-supported Archdiocesan outreach to the immigrant community, the involvement of all three Catholic bishops in the Archdiocese, and a variety of parish connections all under the auspices of Pope Francis’ “Share the Journey” campaign. 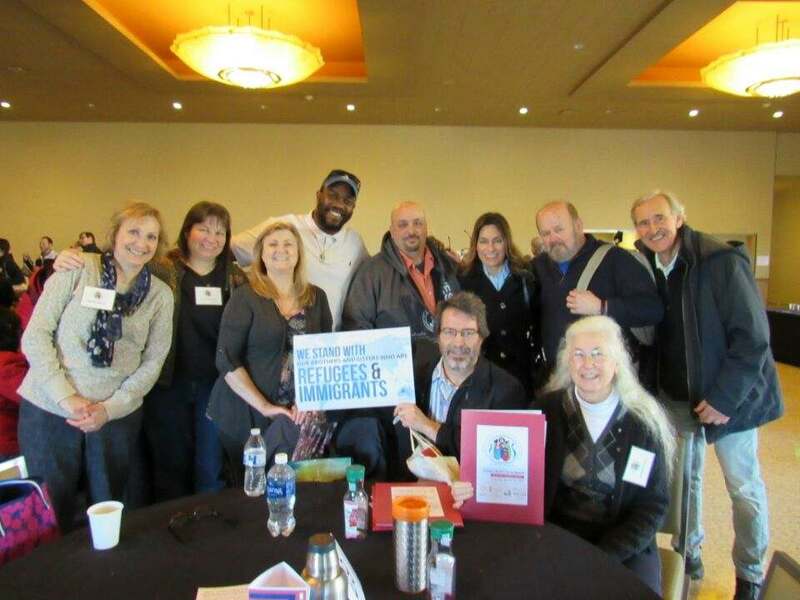 Two of the participating parishes at the summit, St. Michael’s in Olympia and St. Joseph’s in Seattle, my home parish, were there with participants in JustFaith Ministries Exploring Migration program. 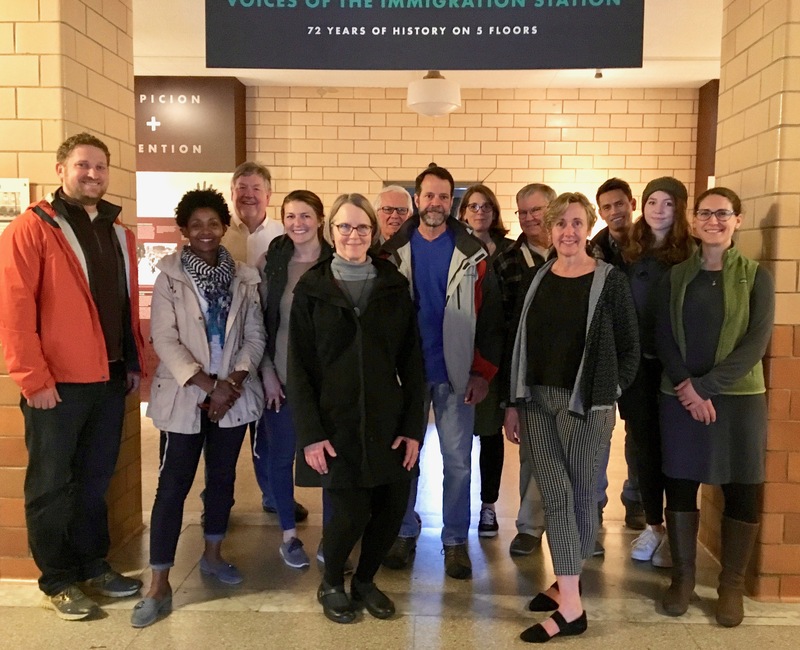 In fact, St. Michael’s entire Exploring Migration group was there, using the summit as their immersion experience and as a way to discern what action they will take as a parish group. St. Joe’s was there in the early stages of the Exploring Migration program and yet we were already thinking about what we should do to increase parishioner awareness about the crisis, to form partnerships with local immigrant service providers, and to expand our own service and outreach connections. 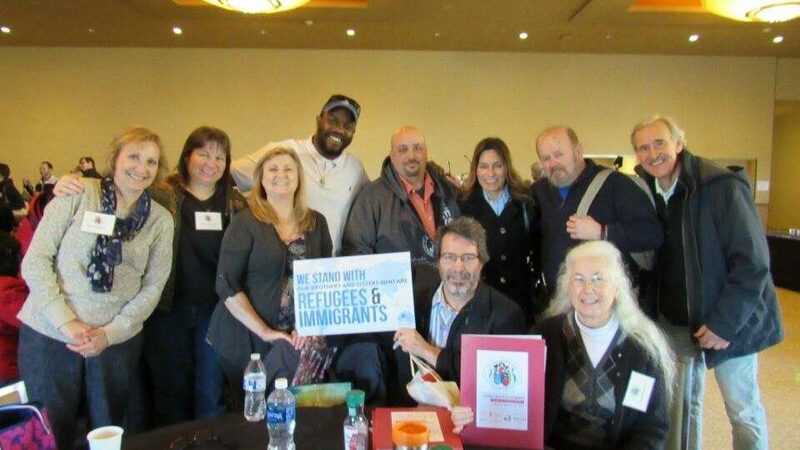 I would have to say that one of the good feelings that came from the summit experience for me was the feeling that I was connected to a larger Church that cared and wanted to stand in solidarity with immigrants and refugees. St. Joe’s and St. Mike’s are back home now and concluding their Exploring Migration experience. The summit added to our personal understanding of what migration is about and gave us new energy and resources to continue our work. It is so clear to me how JustFaith Ministries’s program, Exploring Migration, works with these larger programs like the Summit and Share the Journey to build energy, enthusiasm, and action at the parish level. Each effort – big and small – has it place. Each is complementary to the other. All are important. In just one example, a resource shared at the Summit was a summary of pastoral listening sessions with Hispanic Catholics that identified their needs in the current immigration crisis. These were conducted during the summer of 2017. The needs most mentioned were: Legal Aid, Mental Health Services for Children, Addressing Racism and Nationalism among White Catholics, and more visible solidarity in the Catholic Church in Western Washington. This information was important to our process at the parish level. I was pleased to see how these needs where addressed in the Exploring Migration program and how they were also becoming part of our developing agenda in the parish. With gratitude and surprise, I find myself in this “Perfect Storm” of Immigration. I feel the collective energy of the Church standing up to this crisis through the Share the Journey Campaign. I feel the importance of my own work facilitating Exploring Migration giving life and energy to that effort and the cause of immigration in my Parish. It may be that the impact of an 8-week program is small in comparison to an international campaign led by the Pope, but I think of Exploring Migration as a small contributing step in the “Perfect Storm” of big change.